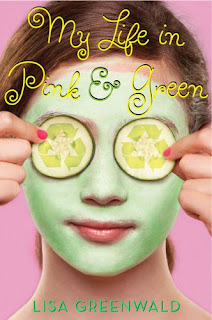 My Life in Pink and Green is an immediately endearing story. The Old Mill Pharmacy, the business that Lucy’s family revolves around, is in danger of going out of business because people are going to big box stores to purchase groceries and fill their prescriptions at the same time. Lucy will stop at nothing to save it as she is strong, smart, and resourceful. The Old Mill Pharmacy sounds like the perfect place to hang out and Lucy is determined to revive the aging business’s popularity in her town before it’s too late. While her activist mother is busy trying to save the world and her more down-to-earth grandmother is trying to get Mom to see reason, Lucy uses her skills, friendships, and initially reluctant membership in the Earth Club to fight for the pharmacy she loves.